Max Polyakov’s Firefly Aerospace is testing the Firefly Lightning, the new engine, creating the most cost-effective satellite launch vehicles. The primary focus of its founder, Max Polyakov, is to make the access to open space for small companies safer, and easier. The Space industry has experienced a lot of changes over the last decade. It includes not only the development of new technologies and materials, but also a new approach to space exploration. The latter is a more cost-effective approach and has opened the way for new players. Firefly Aerospace, a company founded by Max Polyakov, is destined to be one of them. As early as 2017, Firefly Space Systems had problems, such as unprofitable services and big losses. Despite these challenges and skepticism from other players in the orbital launch industry, Max Polyakov (Maxim Polyakov) purchased the company to make it a leader among space industry companies. Now, the updated Firefly Aerospace is more modern and more efficient than ever before. It’s currently making significant strides in development. The new company’s long-term plans include the development and launch of two rockets: Alpha and Beta. According to Max Polyakov, Alpha is a vehicle that uses both kerosene and liquid oxygen. It’s developed to carry up to 630 kilos to the 500-kilometer sun-synchronous orbit. The rocket’s performance is much higher compared to other similar vehicles that can only carry up to a few hundreds of kilograms. Its launch is scheduled for late 2019. Alpha competes with Indian Polar Satellite Launch Vehicle, another launch provider for small satellites. However, Firefly’s Alpha is shaping up to be a more convenient choice. Max Polyakov (Maxim Polyakov) also said that Firefly was working on the development of another vehicle called Beta, similar to Alpha, but with two extra booster cores. This vehicle is likely to be able to carry up to 4,000 kilos into low Earth orbit. However, the date of the first Beta launch hasn’t been announced, since the company is still in development. Qualified personnel are one of the key components which have led Max Polyakov’s Firefly Aerospace to success. After purchasing Firefly Space Systems, Tom Markusic, who managed the company before its reorganization, took up the post of CEO of Firefly Aerospace. Most staff members of Firefly Space Systems, a world-class team of designers, engineers, and scientists, also joined the new company. 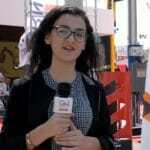 They had already developed their own rocket technology used in designs and mass production processes. After nearly two years of activity, Max Polyakov’s Firefly Aerospace has had some great successes. The first milestone was testing its new engine, called Firefly Lightning. The second one was completing its orbital launcher, Firefly Alpha. Another great achievement of Firefly is the release of the Payload User’s Guide to help potential customers plan their first missions. The pace that the company has started its activity with has sparked the interest of the orbital launch industry as a whole. 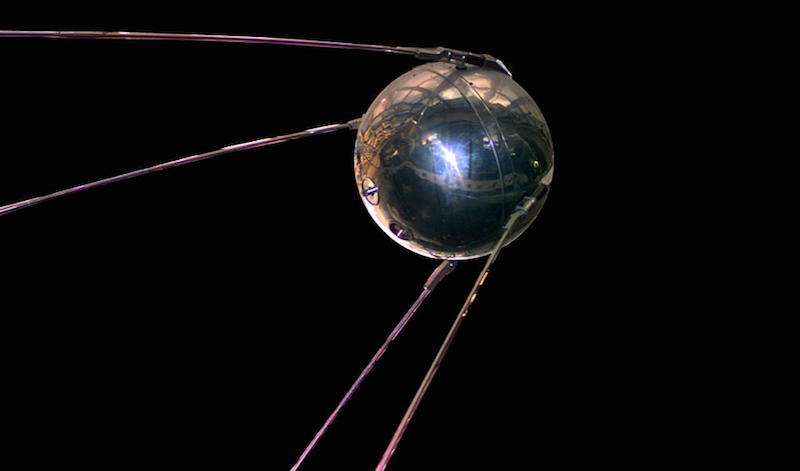 The Space Age itself started with the little satellite, Sputnik 1, that tipped the scale at just 83 kg (184lbs). Then all it could do was send a radio signal announcing to the world that there really was an object in space. Sputnik 1 was soon replaced by larger and larger satellites that were packed with remote sensing equipment, communication equipment, GPS stations and other facilities for military and private use. Over the 60 years since, over 4,250 satellites have made their way off the Earth’s surface. 93% of them have been large satellites weighing more than 1000kg (2200lbs). But, as Max Polyakov emphasized, this statistics is quickly changing, and the percentage of the little satellites continues to grow. Hundreds of small satellites are being launched every year. 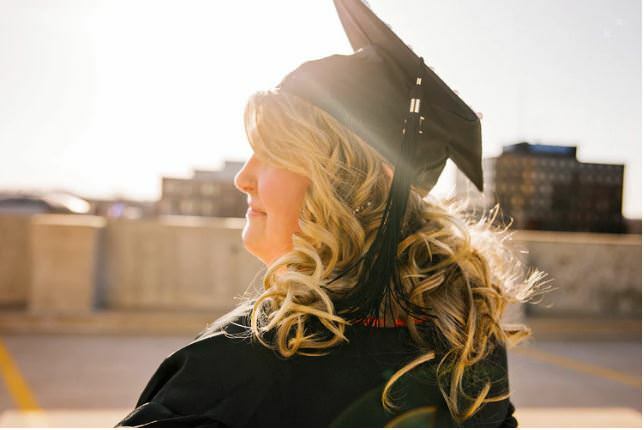 This has become possible because of all computing and communication equipment has become massively smaller, and even with shielding and guidance equipment, plenty of infrastructure can be wrapped up into a comparatively small container. Max Polyakov has even funded an engineering school that gives students the opportunity to create and develop their own satellites. CubeSats are still very popular and widespread among students, and microsatellites that weigh between 100kg and 1000kg are believed to make up nearly 50% of satellites launched by 2021. 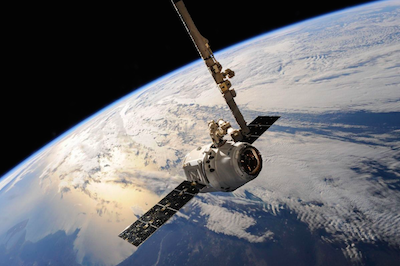 The government has been a main player in the space industry for a long time, which led to the comparatively small focus on innovations in the industry. But when the private sector managed to break into this market and enter into competition, the result was a lot of innovative solutions, like fast prototyping, 3D printing, building computer models and the miniaturization of satellites. Thus, the number of rocket launches all over the world last year was higher than that for the previous years. Since the early 1980’s, the size of satellites and launch vehicles has changed significantly. And, at a time when the satellites have become smaller, launch vehicles have become even bigger. It was the beginning of the miniaturization trend. Nevertheless lots of companies, including Blue Origin and SpaceX, still work on the development of large vehicles. Even though they will be reusable, the cost of launch for the end customer will depend on many factors, such as the quantity of orders, altitude etc. Max Polyakov was worried that this would force the vast majority of future customers to leave their smaller satellites on the ground. Small satellites have a great importance for the space industry. Constellations of small satellites create the opportunity to replace larger, custom-built systems and provide the opportunity for regularly technological updates. Therefore, Max Polyakov has concentrated his attention on the in-orbit delivery of small satellite in his Firefly Aerospace. Companies worldwide have achieved great success and breakthroughs in the development of space rocket technology, including small satellites. For example, India, Russia, and China have developed small rockets that can deliver a nearly 1000kg payload. But, the cost of these options is about $30,000 – $40,000 per kilogram. Max Polyakov’s Firefly Aerospace aims to provide the small satellite launches to low Earth orbit (LEO) for just $10,000 per kilogram. It is a real challenge for the small satellite market today. As a technology intensive company, Firefly is hugely adaptable and capable. Max Polyakov (Maxym Polyakov) affirmed that this start-up company can stay in the industry with just 4 launches each year. Considering that the quantity will like be many folds larger and several scores of launches are already preordered, it is unlikely that the company will have any financial difficulties once they are off the ground. 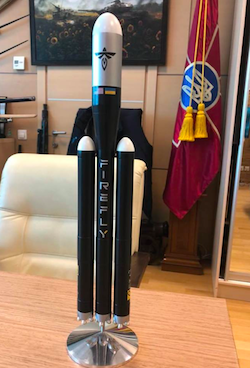 Right after the Firefly Alpha is ready to launch, Max Polyakov’s Firefly is going to build up the production to provide two launches per month, with the potential of further growth. The company has already contracted with the Defense Advanced Research Project Agency (DARPA) and US government. 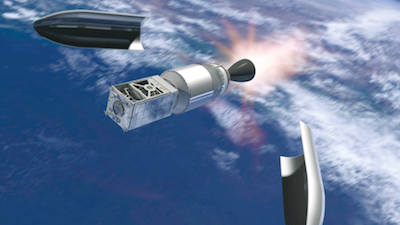 Despite the fact it isn’t required for orbital launches, the next contract is planned with the US Air Force. According to Max Polyakov, Firefly Aerospace does not aim to be a government contractor, as its primary goal is to support private launches. It is well established that the expenses related to US Air Force contracts higher than for basic space missions. Besides, the main value to the clients is the completion of the launch service and, as a result, the success of their space mission. This means that the giants in the space industry, like Boeing and Lockheed Martin, tend to take these contracts over fledgling startups. When Firefly’s first orders are completed, Max Polyakov also believes that they will be able to arouse the interest of new clients. But, given that it literally is rocket science, it might be intimidating to know how to even plan to have your satellite launched into space. In order to acquaint new customers with the basic principles of designing a launch, Max Polyakov’s Firefly announced the publication of its Payload User’s Guide for the Firefly Alpha. The guide presents clients all the information they are looking for on the capabilities and details for each possible payload for the Firefly Alpha. With all the new rush about the potential of low-cost CubeSats and small satellite systems, Firefly Alpha expects to be the rocket of choice for providing all these innovative tools into a budget-friendly space company. In a recent interview, Firefly CEO, Tom Markusic, pointed out that when they were analyzing what people wanted to put into space in current times, the oversized Battlestar Galactica-style satellites are losing momentum. 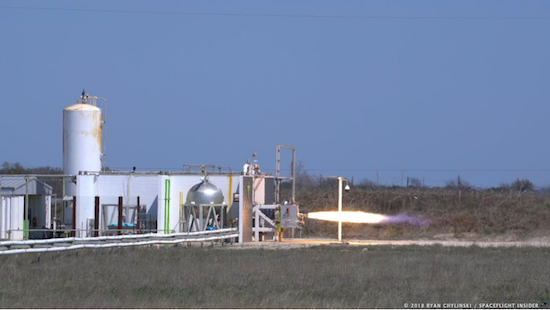 Firefly Aerospace has already conducted a live demo of its rocket engine, called ‘Lightning’. It was held at the company’s test site in Briggs, Texas that has become a kind of home for team members for a few months. The employees of Max’s Polyakov Firefly were on a tight schedule due to tests of hot burns at the Briggs facility. The Briggs test facility includes manufacturing, design, and horizontal and vertical testing facilities are able to handle tests up to 450,000 lbs of thrust. The Firefly Lightning will be able to provide one-tenth the Reaver engines’ thrust. So, Max’s Polyakov Firefly is going to use them on Firefly Alpha’s first stage. Also, Firefly Aerospace has a control center, workshops, offices and production buildings which almost appeared from the farmland in Cedar Park, Texas. Moreover, the company plans to build a full-scale launch vehicle assembly factory there in a few years. In the beginning of May, 2018 the company announced that Vandenberg’s Delta 2 launch tower will be made available to Firefly Aerospace vehicles. This means that the U.S. Air Force has already approved Firefly Aerospace, founded by Max Polyakov (Maxym Polyakov), to become the next main solution at California’s Vandenberg Air Force Base. Space Launch Complex 2 West (SLC-2W) that has been successfully operated over the past several decades, is currently occupied by the Delta 2 vehicle of United Launch Alliance’s. However, the rocket will have its last launch in September, carrying an Earth science satellite. Firefly’s director of launch operations, Brad Obrocto, recently announced that the company is expecting to maintain the current infrastructure, since new launches are likely to require minimum rework. Brad Obrocto, along with Max Polyakov (Maxim Polyakov), founder of Firefly, are currently working at adapting their systems to perform launches from SLC-2W. However, the installation of the vehicle’s launch pedestal and minor refitting of the instrumentation interfaces are likely to be the only big changes. He also noted that transforming a government launch facility to be used for commercial purposes is less difficult than the development of a completely new launch site. Despite this, Brad Obrocto refused to disclose the total cost for the renovation. This does not mean that the company has stopped looking for other launch sites in addition to SLC-2W. Max Polyakov has recently shared his plans to choose from two possible places for launches that include sites in Virginia and Georgia’s Atlantic coast. Firefly is going to make the final decision in the near future. The newly formed company, Firefly Aerospace, founded by Max Polyakov hasn’t limited its boundaries to the USA. In May 2018, the company opened an R&D center in Dnipro, Ukraine. This is the first such center not only in Ukraine, but in the world. According to Max Polyakov (Maxym Polyakov), there are about 300 people in the company’s offices. Half of them are Ukrainians. There has been a rise in interest and support for the company, not only from residents, but from the Ukrainian government. President Petro Poroshenko, visited the facility, where he met with Firefly founder Max Polyakov. The meeting was held right in the research and development center. Firefly Founder Max Polyakov, mentioned that the primary direction of work of the Dnipro center is research and experimental development of elements and units for one of the rockets – Alpha. For example, some details of the rocket will be manufactured on the biggest 3D printer in Ukraine, located in the R&D center. The printer has already proven its worth. It was used to print parts of the ArtOS system – an automated artillery fire control system that was provided to the Ukrainian army. During the meeting, Max Polyakov (Maxym Polyakov) once again confirmed that light vehicles are one of the highest in demand. Therefore, he plans to provide the maximum number of options: the ability to book a launch in advance, buy a full compartment or combine several orders. This flexibility is the most important point distinguishing Firefly from its competitors. During the visit, President Poroshenko was talked with the management and engineers of the company. He noted that this center was one of the most modern, in terms of technology, in all Ukraine. With no doubt, Firefly Aerospace is a strong player in the small launch niche. Chances are good that Max Polyakov’s vision for sending cargo to space will inspire other private companies and a new space era will be one step closer. That’s really fascinating things these guys do. It’s nice to realize that the space industry is engaged in developing small satellites. As we know, the launching of lighter weight is much cheaper because needs fewer energy costs. I’m glad to read someone advances this branch of rocket science. Waiting for an update about Firefly Aerospace!